Azarga Metals’ Year End Stakeholder | Azarga Metals Corp.
AZARGA METALS CORP. ("Azarga Metals" or the “Company”) (TSX-V:AZR) takes this opportunity to update its stakeholders on our progress as 2016 comes to a close. 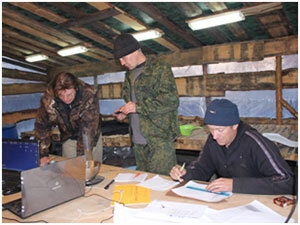 We closed the transaction to create Azarga Metals on 30 May of this year and have made remarkable progress since then on our newly acquired Unkur Copper-Silver Project in the Zabaikalsky administrative region of eastern Russia. The Company decided to focus on Unkur because we believe the historically available data suggests it has potential to be a globally significant silver and copper deposit. Since then, we embarked on the first major new exploration program at the project and early results have validated this belief. The historical data, mostly collated over 40-years ago, makes it clear Unkur is a sizeable and high grade deposit but we felt that, due to exploration techniques of the time, that data likely understates the scale of the mineralization. The historical work also focused on the copper and paid little attention to the silver mineralization. Our field work will carry on into next year but in the short time since the acquisition, we have already completed 16 diamond core holes totaling about 4,600 cumulative linear meters. We have also excavated 5 trenches covering 309 cumulative linear meters and finally, in addition to surface geologic mapping, which disclosed the presence of additional outcropping mineralization, we have completed about 130 line kilometers of detailed ground magnetic survey. Intersection 1 – 40 meters at 0.74% copper and 65.9g/t silver (ie, 1.34% copper equivalent or 146.7g/t silver equivalent), including a 22 meter sub-section at 1.13% copper and 103.5g/t silver (ie, 2.08% copper equivalent or 228.9g/t silver equivalent). Intersection 2 – 0.81% copper and 18 meters at 70.0g/t silver (ie, 1.45% copper equivalent or 158.5g/t silver equivalent), including a seven meter sub-section at 1.51% copper and 137.7g/t silver (ie, 2.77% copper equivalent or 302.6g/t silver equivalent). Intersection 3 – five meters at 0.32% copper and 49.2g/t silver (ie, 0.77% copper equivalent or 84.2g/t silver equivalent). AM-003 – 16 meters at 0.79% copper and 84.0g/t silver (ie, 1.56% copper equivalent 170.3g/t silver equivalent). AM-017 – 10 meters at 1.63% copper and 134.2g/t silver (ie, 1.63% copper equivalent or 312.2g/t silver equivalent). Intersections of significant mineralization have been observed in drilling across a strike length of approximately three kilometers so far, on profiles drilled approximately every 300 meters, and holes have been drilled in pairs with between 300 meters and 600 meters between them on each profile. Historical exploration had focused on what we now refer to as the “upper zone” of mineralization. However, drill hole AM-001 provided a revelation for us in that it identified a second, stratigraphically distinct “lower zone” which will be the subject of further exploration in future programs. There is in fact potential for more, stratigraphically distinct zones of mineralization at Unkur, which is quite common in silver-copper deposits with similar geology. The current phase of physical exploration will continue into January next year with assay results expected to be received through January, February and possibly into early March. We have retained SRK Consulting (Russia) Ltd. (“SRK”), with the aim that they can prepare an initial (maiden) NI 43-101 Resource estimate, and the expectation that their work is complete towards the end of the first quarter or early in the second quarter of 2017. We believe that any Resource delineated will have upside potential in both directions along strike and down dip. Our geophysical surveys in fact indicate that exciting drill targets occur contiguous to and northeast of our current exploration focus area. Step-out drilling and drill testing of new targets identified from geophysical data. Infill drilling within the area drilled during the current exploration phase (assuming a significant Resource is delineated within that area) to upgrade confidence of any maiden Resource and to obtain samples for metallurgical test work. Continuing geophysical exploration of the broader license area with the objective of identifying additional drill targets. Azarga Metals’ goal for 2017 will be to complete a preliminary economic assessment or scoping study to conceptualize potential development of the Unkur Copper-Silver Project by the end of the year. We would like to thank our employees for the success observed to date and our stakeholders for your continued support. We look forward to an exciting 2017. 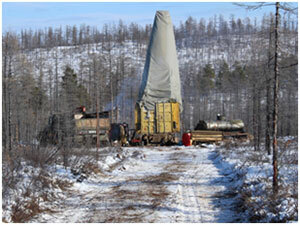 Further details concerning Unkur Copper-Silver Project located in the Zabaikalsky administrative region in eastern Russia are contained in a technical report filed by the Company as per its news release of 5 April 2016.